Chinese cellphone manufacturer Oppo is known for coming up with new and unique devices in more ways than one. 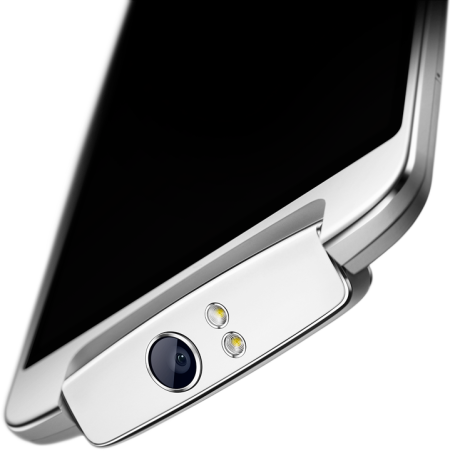 It all started with the Oppo Finder (the world’s slimmest smartphone) launched last year followed by the Oppo Find 5 which was the first phone to have a full 1080p display. The trend seems to continue with the recently announced Oppo N1 which is a 5.9 inch phablet having a 1.7 GHz Quad Core Snapdragon 600 processor, 2GB RAM, Android 4.2.2 and many other features. The major attraction of the N1 is its 13-megapixel “Rotating” camera that can be horizontally rotated up to 260 degrees and hence can be used both as a front and rear camera. The camera is expected to have a unique sensor that features a 6-element f/2.0 lens capable of capturing high-resolution images in different conditions. When it comes to rotating camera’s its certainly not the first company to come up with this concept though. Samsung if you remember (when our favorite little Green Robot wasn’t even born) had a similar feature in the Samsung P900 but that was with a rotating screen. Another interesting feature is the self diffusing LED flash which means that you can use it to create ample lighting for not only rear images, but front ones, as well (we’ve always wanted a phone with front-facing flash). The camera can be awakened at any moment simply by twisting the lens a bit, giving you the ability to quickly launch the thing in situations where you don’t have a ton of time to waste. Oppo is also interesting their O-Touch and O-Click technologies. There is also good news for all you CyanogenMod fans out there. 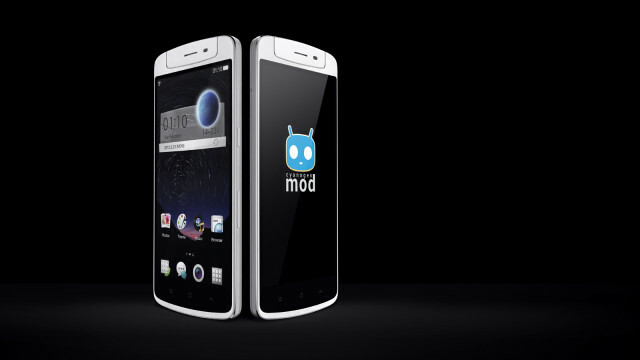 The Oppo N1 is the first device that will launch with support for flashing CyanogenMod from the device’s stock recovery. Surprised? Even though the device will ship with Oppo’s custom Android 4.2.2-based color user interface, but they are giving users quite the excellent choice without having to go through the traditional ways of rooting and bootloader unlocking steps. The device is expected to launch sometime later this year with an estimated price of around $600. We’ll let you guys know once the news get officially confirmed by the company themselves. Would you be going for it? Share in a word or two with us in the comments section below. Cheers!